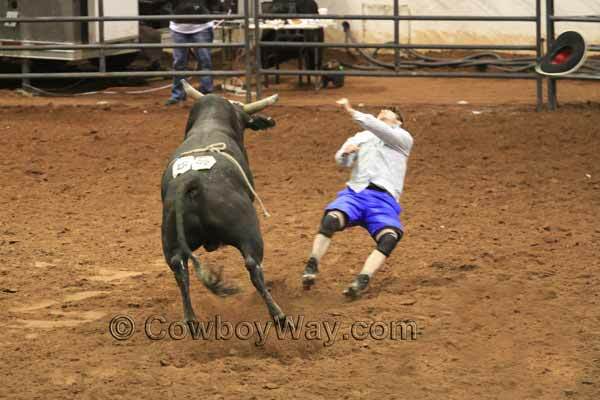 More bull riding wrecks from CowboyWay.com. 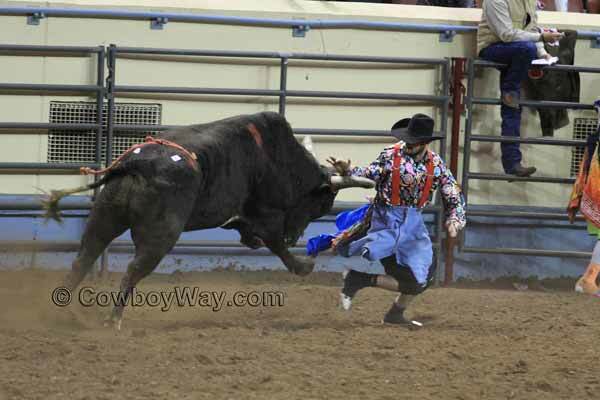 This page has photos of wrecks with clowns and bullfighters. For more information about clowns, bullfighters, and barrel men, please scroll down underneath the photos. 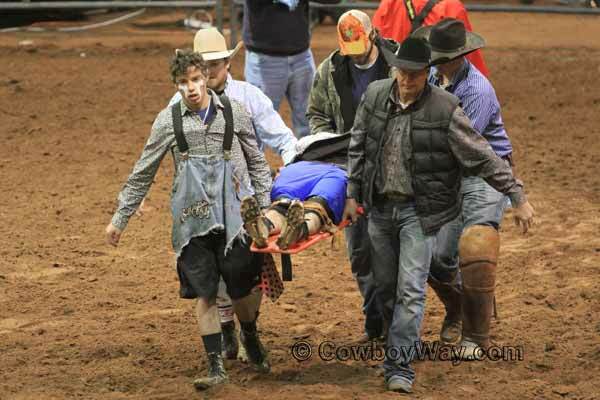 Photo 3 of 3......and he leaves the arena on a stretcher. 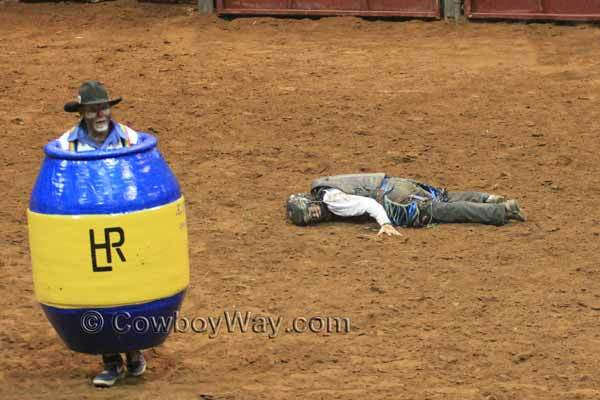 A barrel man keeps a protective eye on an unconscious bull rider as the pickup men move the bull out of the arena. Our last image on this page isn't of a wreck. 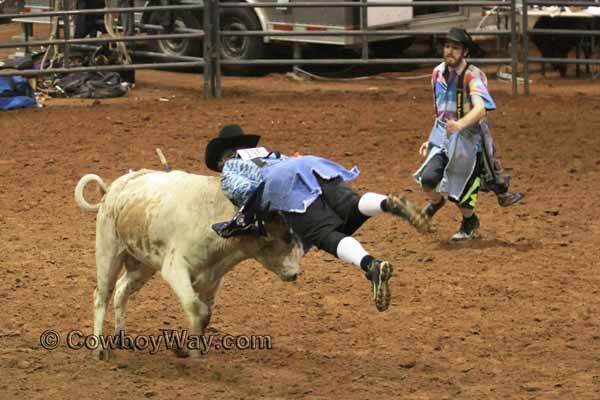 While rodeo clowns and bullfighters take great risks and are sometimes injured, they do a difficult, dangerous, job with incredible timing, guts, and speed. Thankfully, more often than not they're able to walk away uninjured. Our hats are off to the rodeo clowns, bullfighters, and barrel men that entertain the crowds and protect the bull riders. 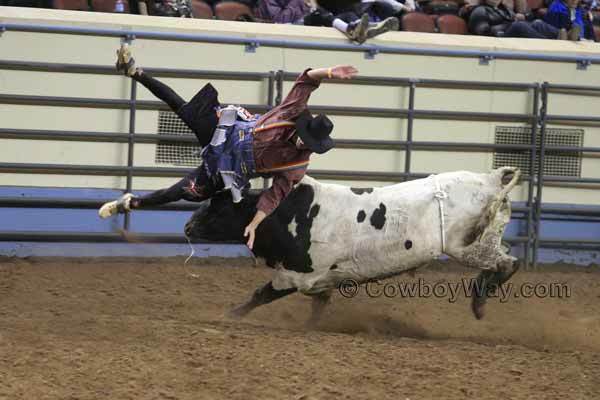 The definition of a rodeo clown and/or bullfighter can sometimes be a bit hard to pin down: A rodeo clown usually has a main job of being humorous and entertaining the crowd, while a bullfighter's main job is protecting the bull riders from the bulls. 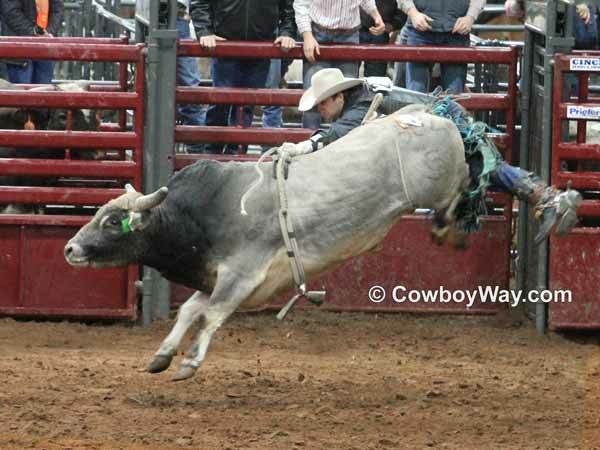 At some rodeos and bull ridings, however, the job is combined: The clown and bull fighter is one and the same. There is also at least one other rodeo clown/bullfighter combination: If a bull riding has a clown and also a bullfighter - two different people for two different jobs - it's not uncommon for the clown to step in and become a bullfighter in order to help a bull rider or the primary bullfighter if the situation calls for it. Just to add to the confusion a bit, there is also often a third type of clown or bullfighter: The barrel man. 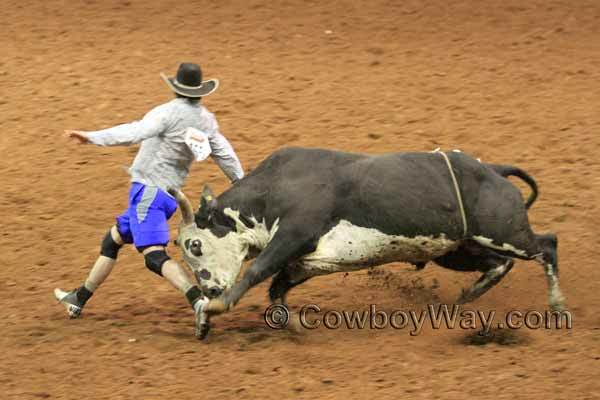 The barrel man's main job is to maneuver a specially reinforced bullfighter's barrel in order to gain the bull's attention and protect the bull rider. The barrel man can maneuver the barrel from the outside of it, or from the inside thanks to built-in handles. The barrel man might strictly perform protective duties, or in slow moments might also be a clown, telling jokes and performing antics to keep the crown entertained.